HANOI, Vietnam ? Inside an unheated classroom at the Institute for Nuclear Science and Technology here about 20 young government technicians from Vietnam’s incipient nuclear power industry kept on their winter jackets on the first morning of a 10-day workshop on radiation. A Japanese nuclear expert, far left, supervised a training course for students in Hanoi, Vietnam. Villagers in Tai An worry about a planned nuclear plant. The workshop, sponsored by the semigovernmental Japan Atomic Energy Agency, started with Radiation Physics 101. The students then collected radiation samples with the help of Japanese specialists and analyzed them in a lab built by Japan. As Vietnam prepares to begin one of the world’s most ambitious nuclear power programs, it is scrambling to raise from scratch a field of experts needed to operate and regulate nuclear power plants. 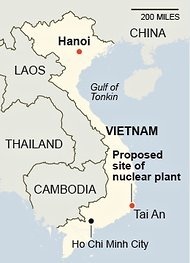 The government, which is beefing up nuclear engineering programs at its universities and sending increasing numbers of young technicians abroad, says Vietnam will have enough qualified experts to safely manage an industry that is scheduled to grow from one nuclear reactor in 2020 to 10 reactors by 2030. But some Vietnamese and foreign experts said that was too little time to establish a credible regulatory body, especially in a country with widespread corruption, poor safety standards and a lack of transparency. They said the overly ambitious timetable could lead to the kind of weak regulation, as well as collusive ties between regulators and operators, that contributed to the disaster at the Fukushima nuclear plant in Japan last year. The Vietnamese government fears that the country’s strong economic growth will be jeopardized without the energy provided by nuclear plants. Vietnam, which relies mostly on hydroelectricity, is expected to become a net importer of energy in 2015. “One of the reasons for the introduction of nuclear power in Vietnam is the shortage of conventional fuel supply sources, including imported,” Le Doan Phac, deputy director general of the Vietnam Atomic Energy Agency, the government’s main nuclear research and development body, said in an e-mail message. Russia and Japan have won bids to build Vietnam’s first two plants; South Korea is expected to be selected for the third. For Japan, the contract was the fruit of years of high-level lobbying by its government and nuclear industry, which is threatened at home by a strong public reaction against nuclear power after the crisis last year. About 500 Vietnamese have gone through workshops by the Japan Atomic Energy Agency since 2001. Toshiba, a plant manufacturer, has also offered one-month courses since 2006 to win the construction contract. Like Russia, which has pledged Vietnam loans of $8 billion to $9 billion to finance the first plant’s construction, Japan is expected to offer a package of low-interest loans through the Japan Bank of International Cooperation. Japan is expected to use its overseas development assistance to Vietnam to build roads, ports and other infrastructure to support the nuclear plant. With the memories of the Fukushima disaster still raw in Japan, the Japanese government’s active role in selling nuclear plants to developing nations like Vietnam has drawn sharp criticism. Critics say that the government and nuclear industry’s joint efforts are reminiscent of the kind of collusive ties that led to the Fukushima disaster. The government’s low-interest loans ? taxpayers’ money ? will benefit only politically connected plant manufacturers, they say. “When it comes to selling nuclear plants, it’s not a commercially viable business, so you invariably need the injection of public funds,” said Kanna Mitsuta, a researcher for both Friends of the Earth Japan and Mekong Watch, a Japanese private organization. Critics said that Japan and other nuclear powers were desperate to sell plants to developing nations as dreams of a nuclear renaissance in advanced economies have dried up since the Fukushima disaster. After the Fukushima disaster, Tokyo abandoned plans to build 14 more reactors in Japan by 2030. Japan had 54 reactors before the disaster, but growing public opposition has now idled all but two. “I don’t understand why Japan is striving to export to less developed countries something it’s rejected at home,” Mr. Hien, the nuclear scientist, said. Japanese supporters of exports say that developing nations like Vietnam have the right to choose nuclear power to expand their economies, just as Japan did decades ago. 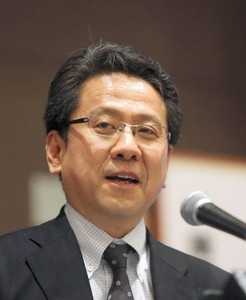 “They’ll just buy from another country” if Japan decides not to sell them nuclear plants, said Tadashi Maeda, an official at the Japan Bank of International Cooperation and a special adviser to the prime minister’s cabinet. Vietnam will need hundreds of experts with years of experience to regulate its nuclear industry, Mr. Tran said. In the Vietnam Agency for Radiation and Nuclear Safety, the main regulatory authority, “There are currently only 30 people qualified to analyze safety reports with some assistance of experts,” he said. In Tai An, the village in central Vietnam selected as the site for the Japanese nuclear plant, about half a dozen randomly interviewed residents said they were anxious about plans to relocate the village’s 700 households to a spot a couple of miles north. The villagers, most of whom are fishermen or grape growers, said earnings from farming had sharply increased in recent years since Tai An was connected to running water from a new reservoir nearby. They said they feared that the new location’s proximity to a nuclear plant would jeopardize their grape farming and fishing.